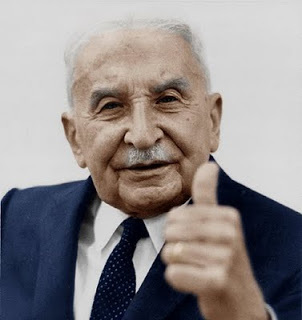 It's time for a repeat of our favourite pastime: exploring the amazing world of our dear friend Ludwig von Mises and his snappy, sassy comments about his academic life – particularly his intellectual opponents. I remain dedicated to compiling some of the best examples of absolutely stunning and entertaining Mises quotes; this hillarious exercise in Misesian delight may very well be my proudest achievement. But less me, and more Mises – please! *=, Walther Federen was the publisher of Österreischichen Volkswirt. Great stuff. But shouldn't it be Keynes' delusional attempt at being an economist?